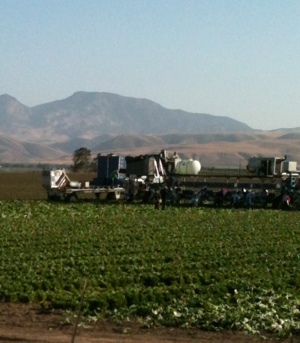 Northern California grows vegetables all year long. 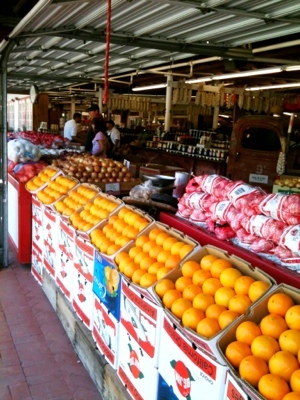 Fruit and nuts are seasonal which requires land for huge orchards of citrus, cherries, nut trees such as almond, walnut, pecan, and pistachio. 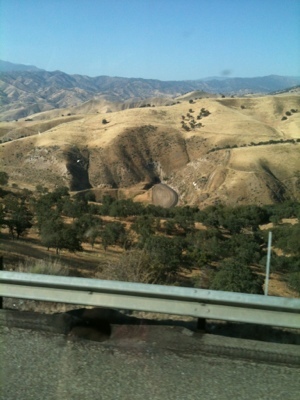 The terrain is semi mountainous in this region and all farming is done in the “bowls” of the mountain areas. 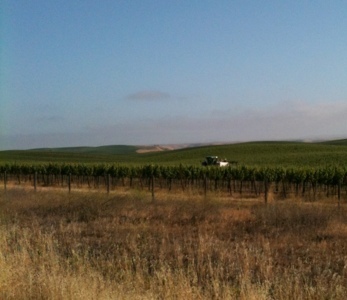 After delivering Joe’s trucks to Greenfield, California we travelled northward through the Salinas Valley on our way up to Sacramento. 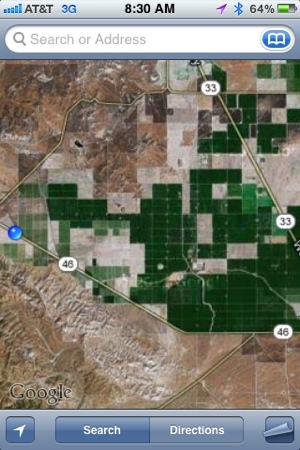 Other fields were being harvested with a mix of man and machines. 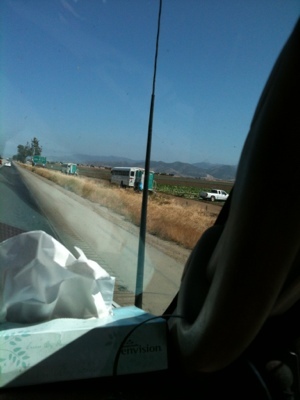 The field workers come to work in their vehicles or are bussed to the various fields for the long days of work they do. 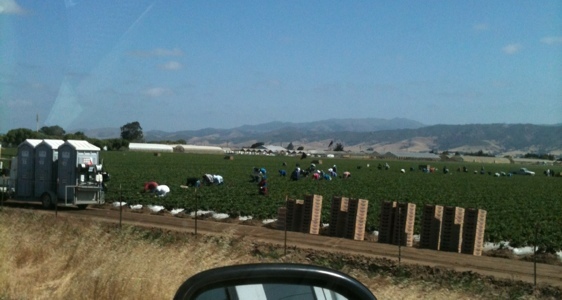 All the hard work these field workers do fill fruit stands and our grocery stores enabling us, as a nation, to eat healthy foods. Personally, I am thankful for the work these field people do. They live with sore backs, arms, and knees so that I can eat well – or not – because of their daily toils. Thank you, field workers, for the hard work you do. Change is constant, life is consistent. Traveling US 287 through Texas day before yesterday was more a trip down memory lane than I had imagined. In 1973 I travelled the US highways with my first husband, otherwise known as “my children’s father”. 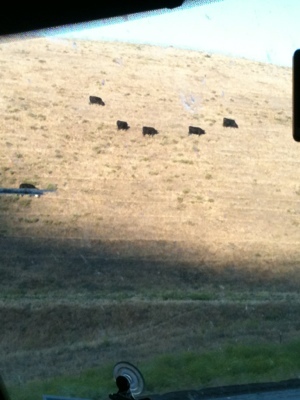 Cattle hauling was what he did. 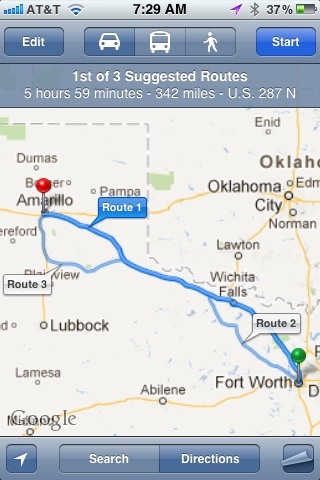 Living in Amarillo, Texas at that time I was barely 19 years old and a skinny thing. I’d go along to the stockyards to watch the cattle auctions and listen as the trucking company boss talked to ranchers about shipping their cattle. Chandler P. Rush was the name of Gene’s (my children’s father) boss. Mr. Rush was a very kind man that treated me like a daughter and I appreciated him for that. Loading the cattle into the trailers was a noisy, dusty, dried cow poop swirling affair. Cowboys shrill whistles and barks of “Hey there” were immediately followed by pounding hoof beats of horses, bawling from cattle, a loud wooden thunk when hooves came in sharp contact with the wooden rail fences. Dust and dried poop whirled and swirled in the air, getting sucked into throats and up noses with every inhale of a breath. Eyes would water from the particulates that flew leaving muddy tracks down my face and black dusty globs in the corners of my eyes. Blowing my nose to, literally, get all the crap out often made me squeamish at first. I did acquire the unladylike habit of hacking up phlegm speckled black with poop dust. However, I did draw the line at spitting on the ground. I always carried a wad of Kleenex to clear my throat and mouth. The men loading the cattle in the trailers had electric prods. Long fiberglass sticks with two copper nubs on the business end of the stick. I can’t even begin to tell you how many times I got in the way of a prod and been zapped on an arm or hand. Followed by a yelp from me and a very hurried “Sorry ma’am” from the person on the other end of the prod. Counting cattle going through the chute into Gene’s trailer was my job. He would tell me how many would be going in from each cut the cowboys made and I had to double check the count as the cattle ran into each other, tried to jump over one in front, or find a way to turn around in the narrow chute to get the heck out of there. All the fleeing steer did was create a bottleneck and halt the progress. All kinds of bawling, yelping, horse snorting, whistling, muttered curses, outright shouts of swear words, arms flailing, men jumping atop the fences to slap the head or rear of a steer and the forever chocking poop dust kicked about. Inside the trailer were two men that kept count as well. They would shout out how many entered or to get out of the way as one steer turning to run back out the trailer door turned into three. Cattle hooves stomping on the metal deck of the trailer as they were loaded added to the deafening noise. 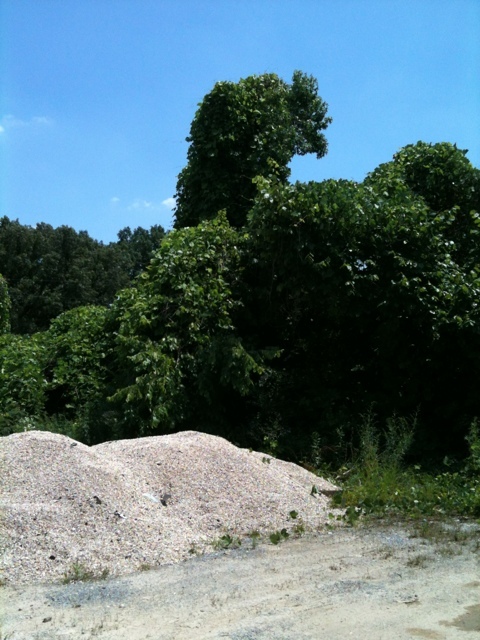 The trailer creaked and groaned as it rocked back and forth during loading lending another sound to the raucous air. Crusted with dust all over my face, grit in my hair, dried poop down my blouse and settling into my bra, shoes filled with dirt and bunched up socks added to my discomfort. Loading time was over and it was time to drive over the scale to get weighed. The truck drivers were paid by the mile and by the pound. The starting weight was stamped on a small ticket the driver kept in a shirt pocket. Once weighing was done then it was time to get on the road to deliver the cattle as quickly as possible. Weight loss of the cattle begins with the first one to urinate then defficate. In those days cattle were crammed into the trailers leaving little room for them to move around. The floors would get slippery with all the poop and pee and at least one steer would fall. When that happened it was not uncommon for the rest of the cattle to stumble and tramp over the fallen steer. Sometimes ending in death which resulted in a dock of several hundred dollars from the driver’s pay. Guess who got to climb the outside of the trailer to peer through the holes at fuel stops to check on the cattle? You guessed right. Me. I have been pooped on, peed on, stepped on, and licked more times than I can count. Back then showers for women in truck stops was unheard of. I got to bathe in the sinks of women’s bathrooms. Shaving my legs was a trial. Hoisting a foot up into a sink to get the job done then do a one footed dance on the wet slippery floor while hanging onto anything for balance was a trick. I pulled at least one sink free of the wall at one truck stop and feared retribution each time we had to go back to that truck stop. Trying to keep clean was a major chore for me. Not to mention the stunned stares and glares I suffered as other female motorists came in to use the facilities and I stood at the sink all but naked. I did this for almost two years and had enough of it. Today there are showers for women that are private and well stocked. When Joe and I began driving we would request a couples shower which was larger and accommodated the two of us. 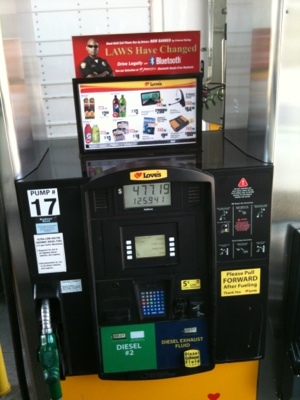 Fuel prices in the 1970’s was about $.38 a gallon. Today it is well over $3.00. I still climb around on the equipment and get sweaty, dusty, and greasy. The luxury of a hotel room each night beats the heck out of the inconveniences of my past. Driving is no longer done until I drop from fatigue and I have my best friend with me. Driving a truck is what I do for a living. Getting to see the sights of this great country is a bonus. Whatever you do for a living, do it well and to the best of your ability. When you look back on where you have been you can be proud of who you are as a person. 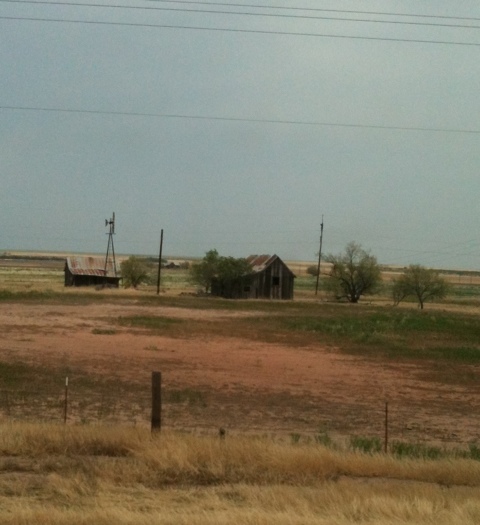 Old homesteads can be seen from the highway US 287 as we travel its length from Fort Worth to Amarillo. This old house and barn are from long ago and an example of structures that dot the wide open prairies. Old railway cars are used on some ranches to store salt licks, feed, horse tack, saddles, and other items necessary in running a ranch. 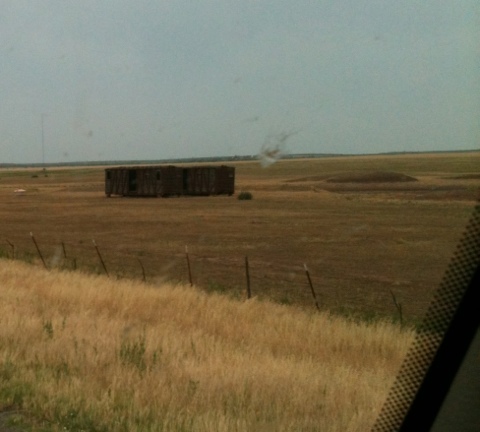 These old rail cars have been abandoned for quite some time. 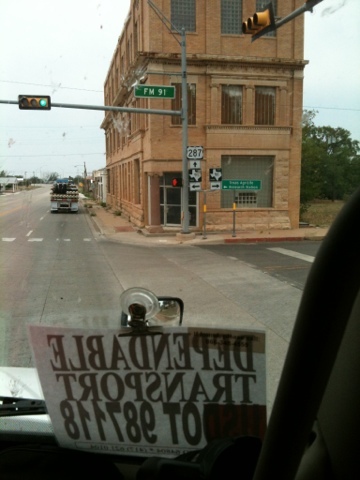 The small towns of Quanah, Vernon, Memphis, Chilicothe, and Childress have buildings of architectural interest. Odd shapes and angles built in the town proper to showcase the jewel it was at the time. Old gas stations still stand in testament of days gone by when US 287 was the major road to anywhere before I-40 was built. 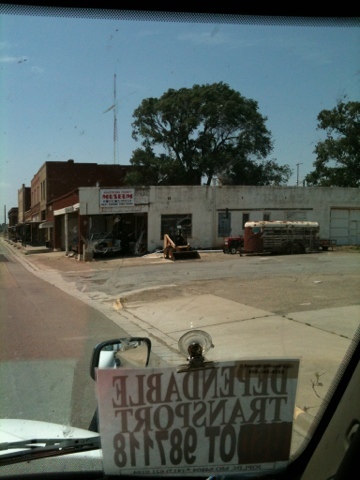 Traveling the roads off the interstate always have something to offer as you go through the small towns. A glimpse of life as it was lived in the old days when life was harder and everyone knew their neighbors. Hope you are enjoying your long weekend and traveling safely. Had I been thinking before we left home this time I would have packed some card making items. That way I could create some fantastic (ha ha) wonky cards while being bounced and jostled along the way. Saving any stamping or heat embossing work for the nightly stops at hotels. 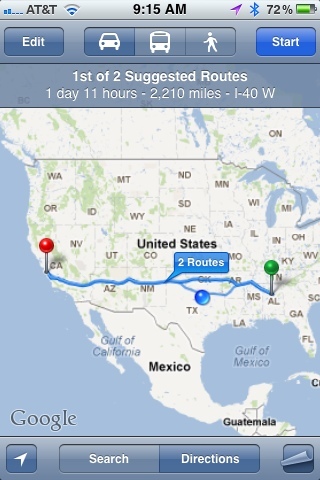 Tuesday we deadheaded from home to Birmingham, Alabama for Joe’s trucks going to Greenfield, California. 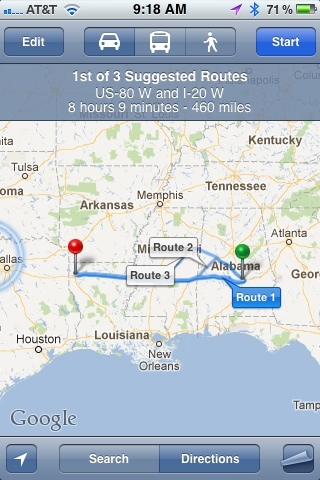 On the way to Alabama we got a call about two trucks for me from Montgomery, Alabama to Bossier City, Louisiana. That little side trip is now finished. 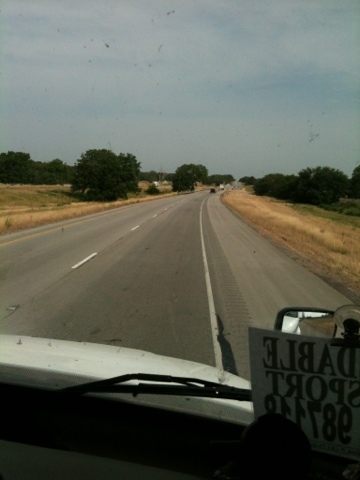 To get back on track for Joe’s load we are taking US 287 north through Texas to link up with Interstate 40. 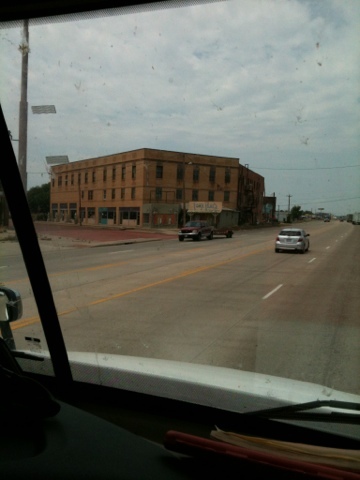 Long ago US 287 was called the “Monfort Highway”. Greeley, Colorado had the nation’s largest feedlot for cattle being shipped in from nearly everywhere. This feedlot was named Monfort. Also in Greeley was a slaughter house and beef packing plant named Monfort as well. The truck drivers for Monfort were legendary. 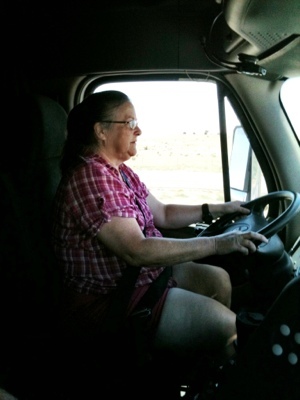 Fast and aggressive drivers, known for their supply of drugs to keep them awake for day after day, and they also supplied these drugs to other truck drivers that asked for them. Mostly the cattle truck drivers sought out Monfort drivers for the goods. Fantastic wrecks were common back then. 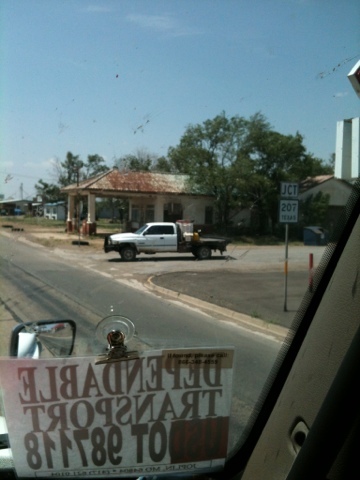 One of the worst and frequent type of wreck was a “Swinging Meat” truck. Back in the 1950’s to 1970’s sides of whole beef were suspended from a rail and hook device inside a refrigerated trailer. You can well imagine the results of a highway exit taken too fast or an “S” curve on a road. The swinging meat would be banging around inside the trailer. The 75,000 pounds of mobile weight was the undoing of many truck drivers, not to mention the fatalities incurred by these trucks wiping out passenger cars. Monfort no longer exists because of these wrecks, and many other problems that arose from demanding more out of their drivers than was humanly possible. US 287 is still a major roadway used by trucks to get from the southeastern part of the US to its northern highways. Safe travels to everyone on the many highways and byways this Memorial Holiday weekend. As the truck drivers long ago used to say over the CB radio. “Keep the shiny side up” as you drive to your destinations. The pond you see in the above photo is not for growing rice. It also is not a livestock pond either. On this particular farm are five ponds. 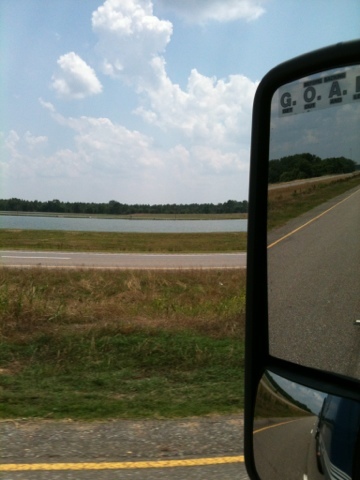 Slow reaction time that I have all but this one pond whizzed by at 60 miles an hour. Okay, enough already you may be saying. This is a “Catfish Farm”. Alabama, and other southern states, has gone to “Aquaculture” to meet the needs of a public that clamors for their catfish. Churches have “Catfish Suppers” to appease hungry parishioners before a Bible study. Restaurants, large and small, advertise “All you can eat catfish” on Tuesday nights to increase revenues. If catfish is advertised on the menu you can plan on waiting for a table. Personally, I’m not a fan of catfish. No kind of fish to be precise so I don’t fall in the numbers of diners these farms make a living from. Alabama Catfish Producers has quite an interesting and informative website. The days of fishing rivers, streams, and lakes for your supper are left only to the avid fishermen and women. The rest of the population meet at “Bubba’s” for platefuls of all you can eat catfish. Just thought you might like to know there is more farming in the south than rice, beans, corn, and peanuts. 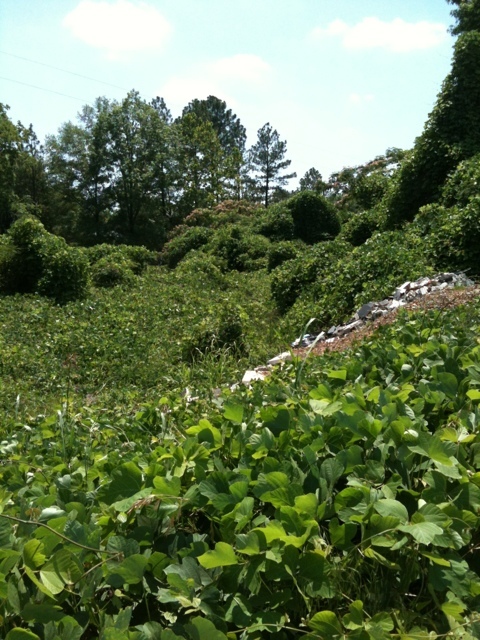 I’ve been telling you all about kudzu. 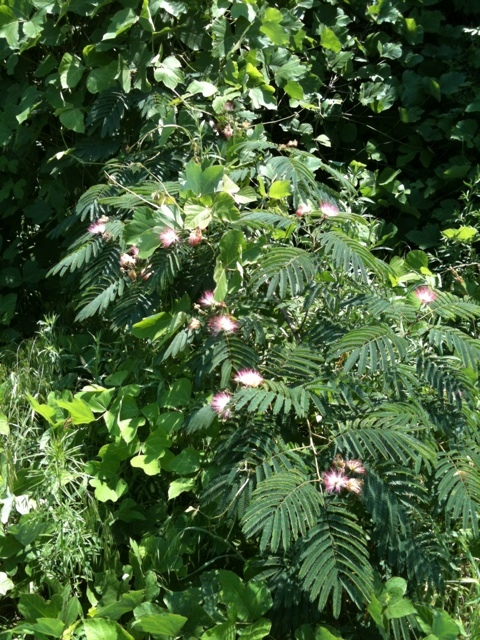 “The vine that ate the south” as I’ve heard tell. We picked up Joe’s trucks up at Transport America in Birmingham, Alabama this afternoon. 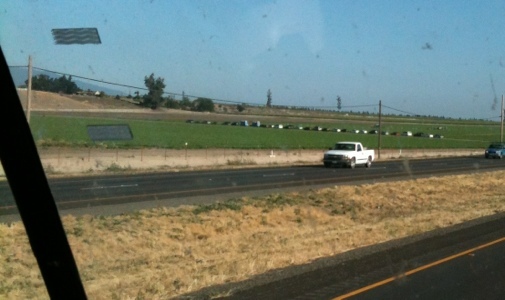 You can see the trucks we are taking to California, as well as our yellow trailer in the photo below. 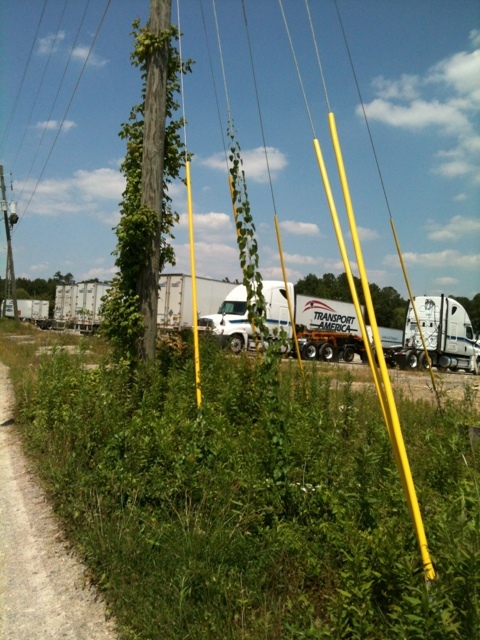 Notice the kudzu climbing the telephone pole in the foreground. 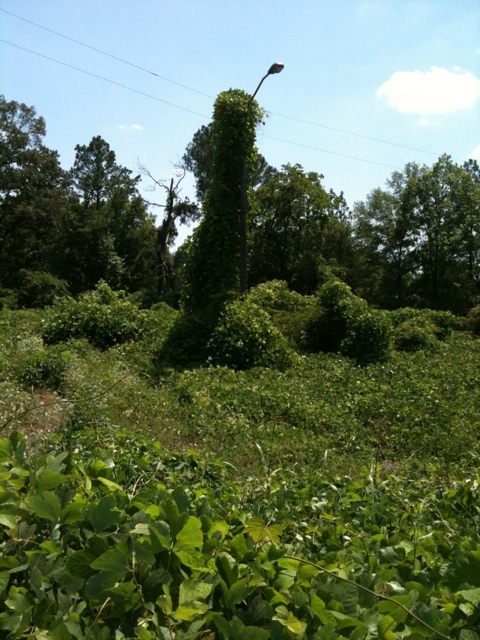 While Joe was at the shop getting tires filled with air I walked the lot and took photos of the wild kudzu. 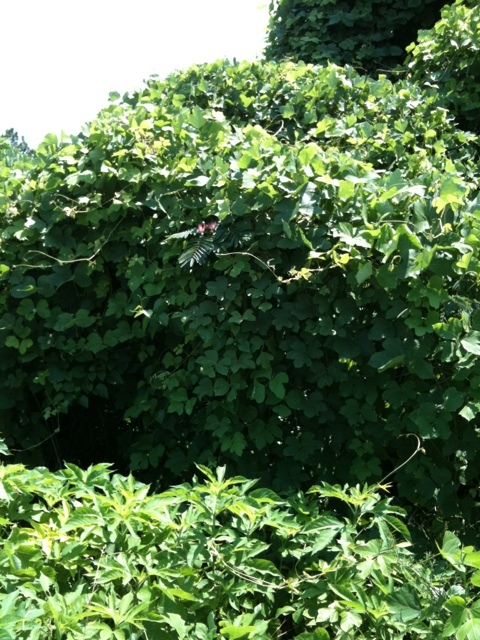 All of this growth is in an area about the size of a large house lot. This stuff is crazy. 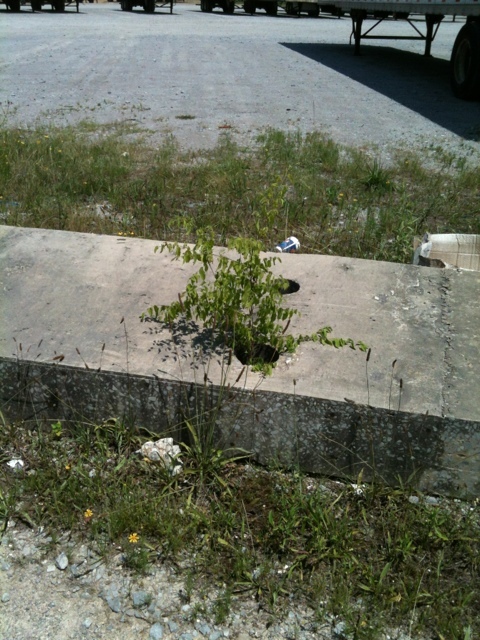 Life tries to push itself out and up every place it can. For my crafting friends. Have you wondered where the mica comes from to our glimmer sprays? 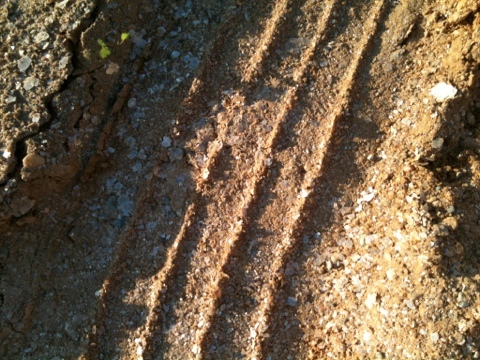 It is a natural mineral found in the ground. In Clanton, Alabama where we are staying the night, I helped guide Joe into the truck parking area. The earth sparkled and gleamed. You can’t see it very well in this photo. 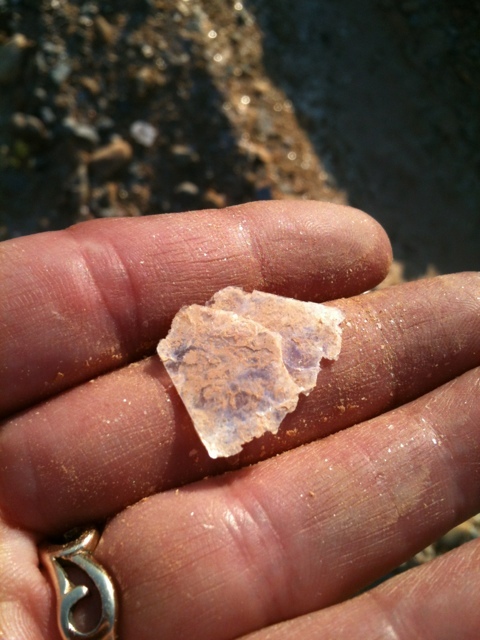 The white bits are mica. I found some fragile pieces that have not been ground to dust. There is so much to explore in our natural world. Always something that intrigues me and gives me a brief time to thank my maker for the beauty I see in this job of mine. Have a good night’s rest for tomorrow will come soon enough. Tracy, from Tracy’s Treasures, has been doing a series on her blog of “Defunkifying” her life. 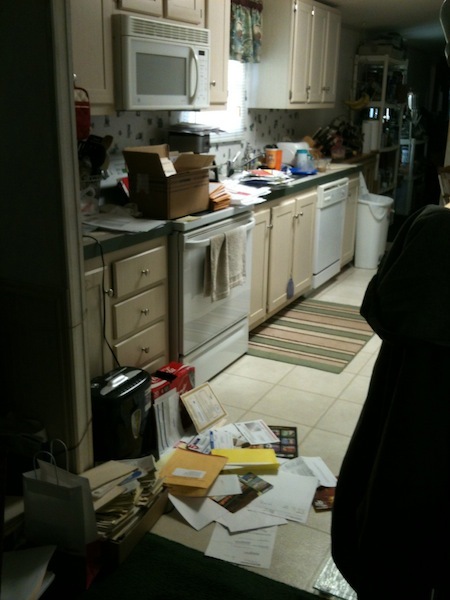 She has been cleaning out drawers, closets, and other areas of her home. 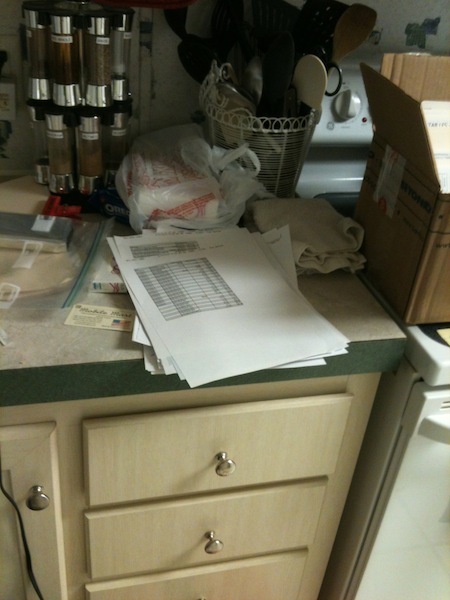 Although I hate my paperwork there is something satisfying in the process. Each step I take in the process is one step closer to completion. Working a few hours a day, while home, I am able to keep up with the dreaded tax stuff for our business and cut down on the work I will have to do come late fall, early winter. Keeping ahead of this task has become a goal of mine. This one part of our business is what can send me down in the depths of depression because of the sheer volume of crap to be sorted and dealt with. First thing…sort. 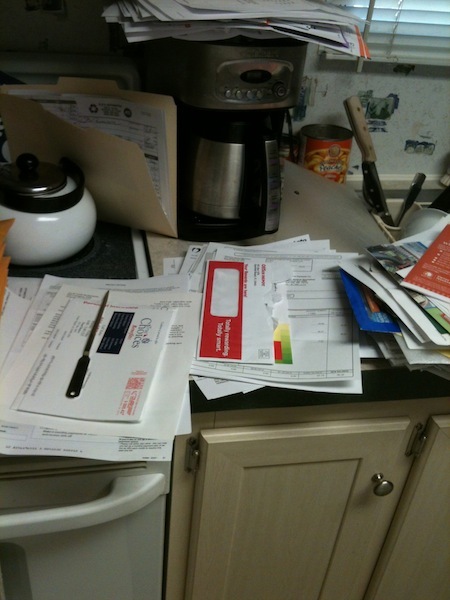 Sort through all the junk mail, household bills, medical bills, bank statements, settlement sheets, and receipts. The piles begin to take over. Although this looks really bad it is part of my process. First is the shred pile. 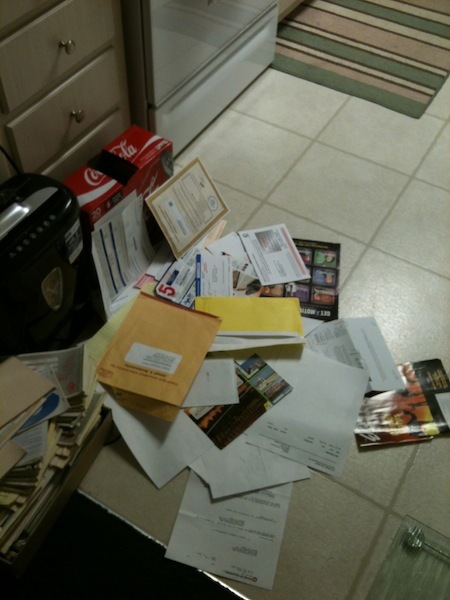 Junk mail. Crap we get that bogs down my mail carrier. She is really good about putting our mail in a separate box for us to get once we come home. Bank statements. This pile is for our personal banks and our business banks. Documents of our life both on the road and at home. Trip envelopes. 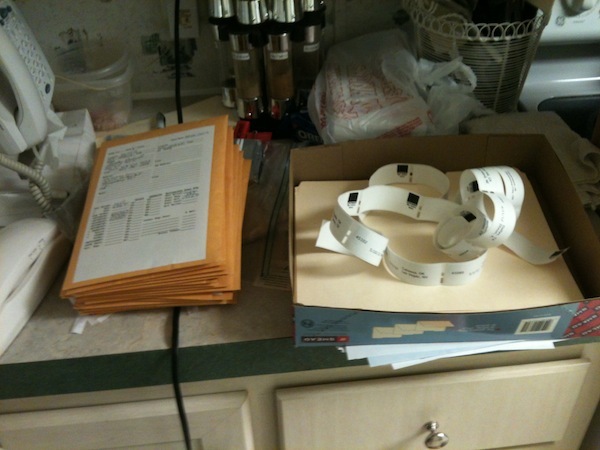 These hold all the load information and receipts for each trip we make in this business. 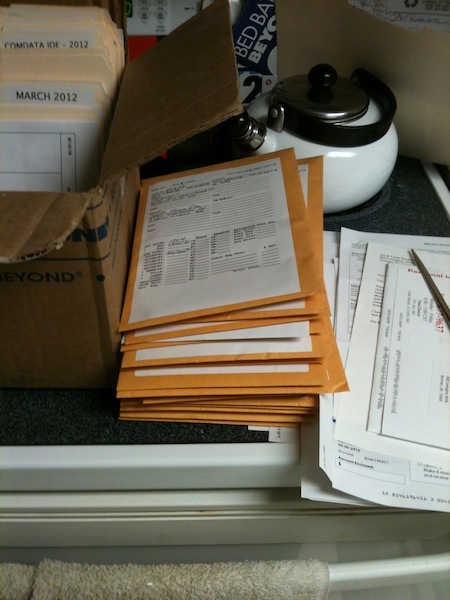 There are a ton of receipts within this stack of envelopes. 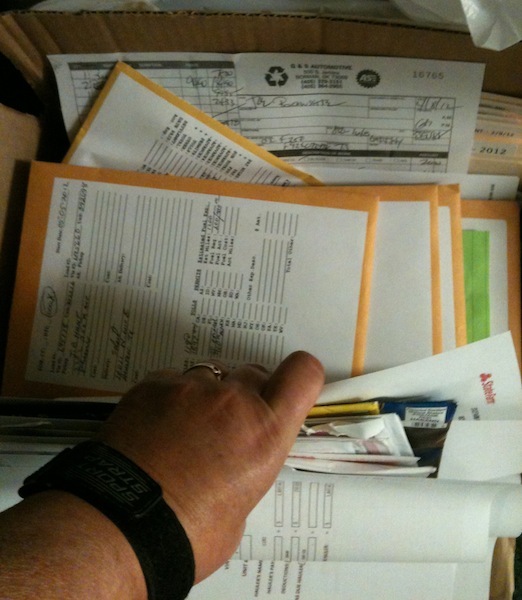 The one good thing about keeping all of these documents is for the “Just in case” things that pop up in a person’s life. Say, for example, Jury Duty. You get a summons to appear in court for Jury Duty and you don’t appear…that can lead to a bit of jail time. Joe and I have proof of our whereabouts during the date in question. We have had to use this proof one time several years ago. 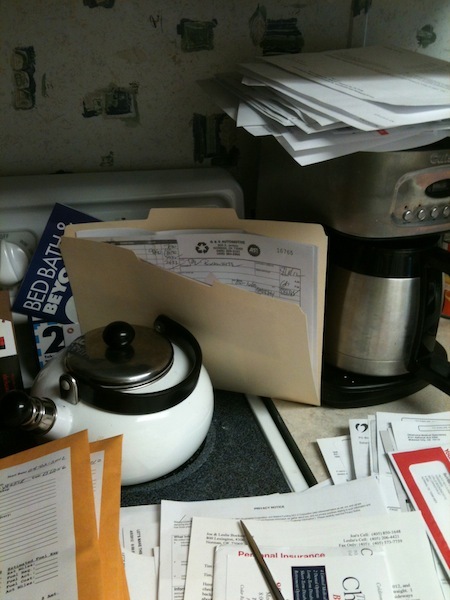 Atop the coffee maker is the stack of accumulated bills that have been paid while on the road. These will be sorted and placed in monthly file folders. April’s is behind the tea kettle. 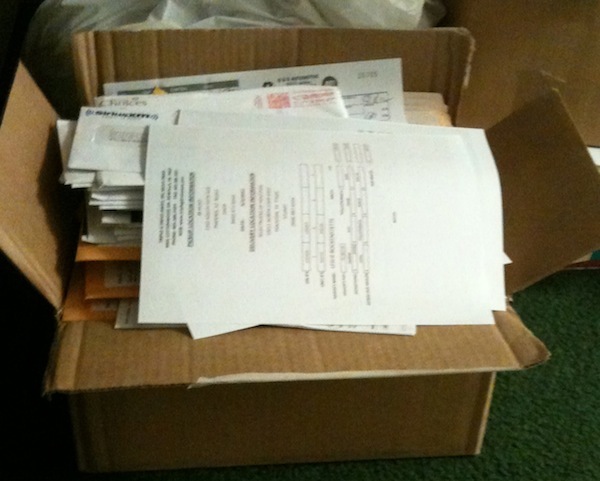 Settlement sheets in the pile to the left while medical invoices are to the right. A pile for the trash. 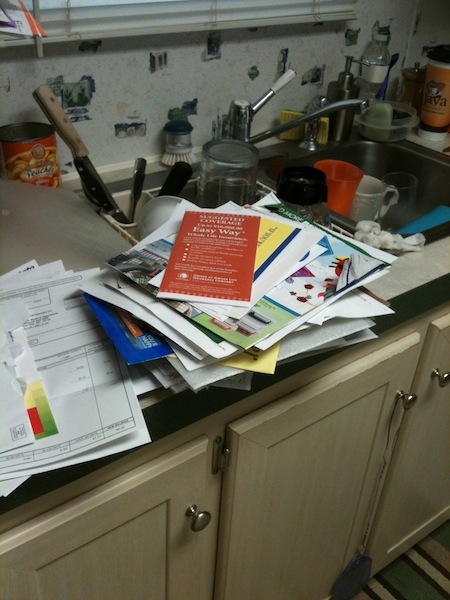 Return envelopes and other junk mail that has been culled from the shred pile. Stuff without our name and address on them. 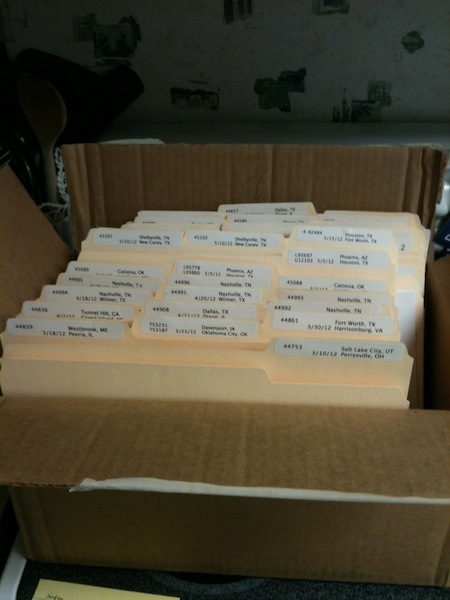 Once all the mail is sorted and dealt with it is time to make file folders with labels. This batch will be for the trip envelopes. Now everything is sorted and placed in its proper place. This mess now looks orderly and makes me feel good. Tomorrow will begin the task of data entry into my two accounting programs. Quicken for the personal finances and QuickBooks for the business finances.